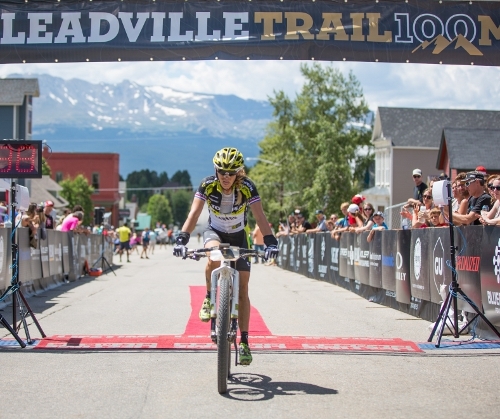 TORQ Fuelled Mountain Bike Marathon racer Sally Bigham heads to the USA for her 4th Leadville 100, the infamous 100 Mile, high altitude mountain bike race. Here’s how she got on. 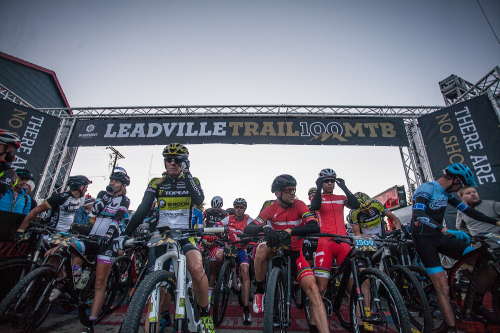 At 6.30am on Saturday I started my 4th Leadville 100 – a race which starts at 3000m and takes riders up to almost 4000m at the highest point – the infamous Columbine. The sheer distance, extreme altitude, fluctuating temperatures (sometimes below zero degrees at the start and reaching high 20s mid-race) and speed make it a uniquely challenging race. With perfect conditions (little wind, no rain and a dry fast course), the aim of my teammate Alban Lakata was to break 6 hours and if the men were to go this fast then it’d mean the Women’s race would be fast too. 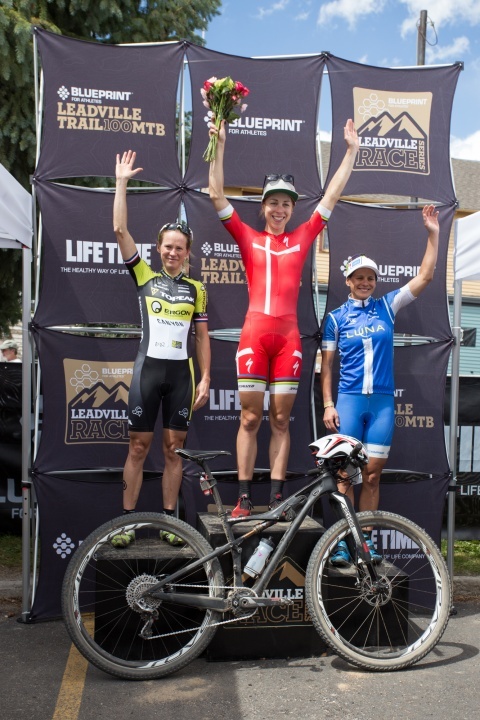 There was a strong field of women, coming from a range of back grounds including Danish 3-time world MTB Marathon Champion Annika Langvad, Katerina Nash World Cup XC winner, and multiple IRONMAN and Xterra World Champion Julie Dibens. 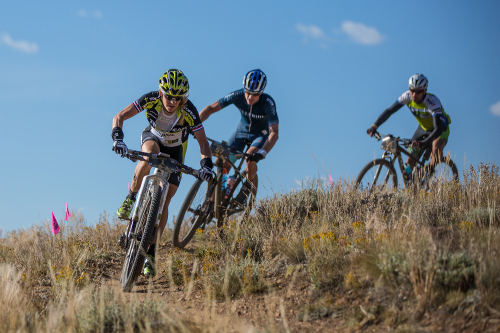 Racing at high altitude is a balancing act between going as fast as possible for the duration of the race, but not so fast that you dip too far into the red zone and pay dearly later in the race. It’s a game of good pacing and knowing how your limits are affected by the thin air. At the top of the first climb, I was 30 seconds ahead of my course record, but Annika was ahead of me. This was the critical point really, because from here onwards, I knew it was important to be in a group. For the women, this race is all about being in a group of fast men because drafting is key. As I descended on the road alone, I knew that I was losing time (as weighing only 50kg, I don’t roll quite as fast as those who are heavier than me)! Throughout the race, I remained in second position and maintained the pace that I’d planned to stick to. There were a number of long open sections and I was fortunate to not spend too much time alone. At all of the check points, I was ahead of schedule, but Annika was flying and I knew that unless she had over-paced her race, there would be no catching her. I arrived at the red carpet in 7 hours, 7 mins & almost 10 minutes faster than my course record – which is something I’m proud of. Annika was unbelievable, going just below 7 hours! Katerina Nash rounded the podium off in third position. So now I know it’s possible for the women to break 7 hours. This is a new goal for me and one factor which will definitely help for the future. Going in to this race, I underestimated the benefit of aerodynamics, but at an average speed of 23-24km per hour it plays an important role. Annika optimised aerodynamics and this undoubtedly helped her break 7 hours, but no doubt her powerful engine helped to some extent too.